JUWEL EccoSkim combines the benefits of a surface skimmer with a compact design and powerful adjustable surface-skimming capacities. 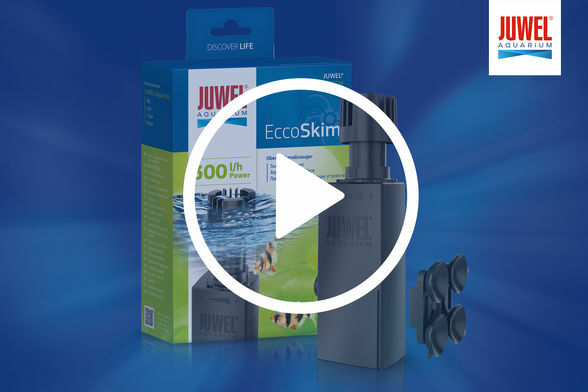 With a performance of 300 l/h at a consumption of only 4.4 W, the JUWEL EccoSkim guarantees effective surface skimming for freshwater and salt-water aquariums. 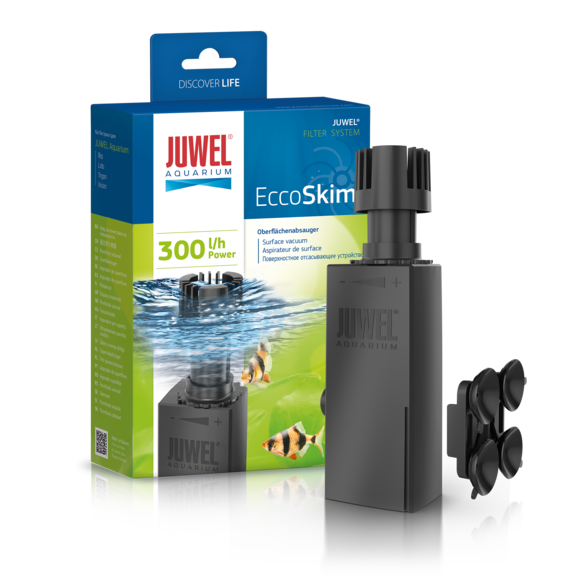 The sucking power of the JUWEL EccoSkim skimmer allows residue film and other organic residues to be quickly removed from the surface of the water. 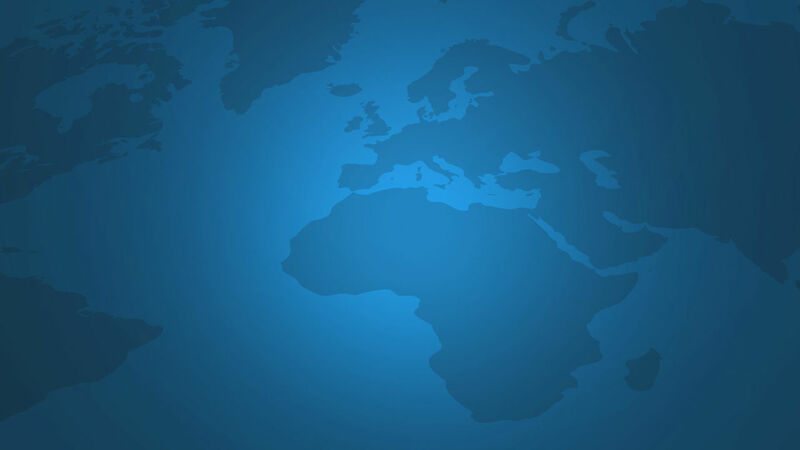 More light is able to reach the bottom of the aquarium when residue films and other dirt has been removed which in turn increases oxygen content and promotes the vitality of plants and fishes. 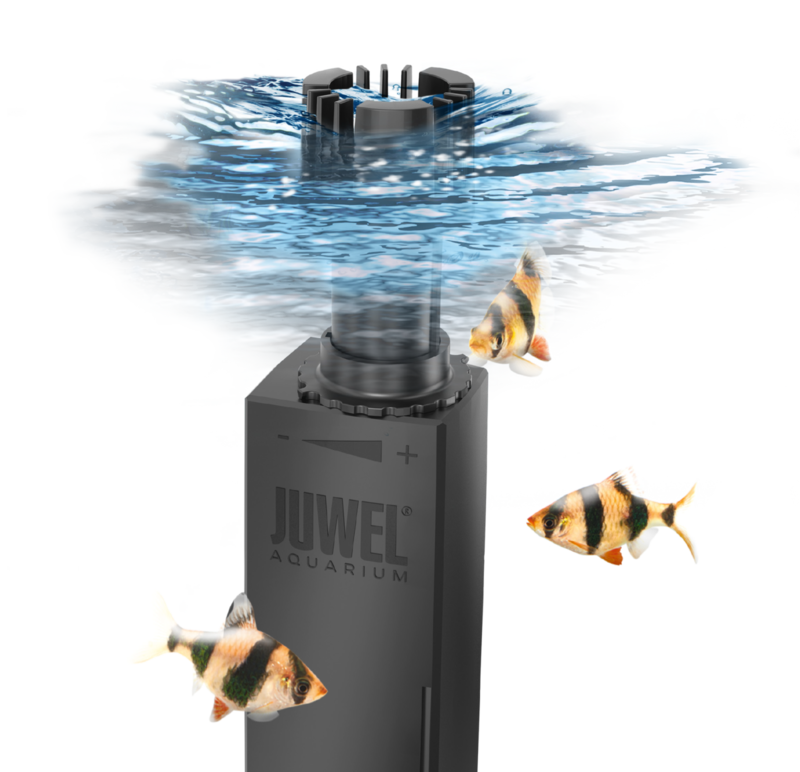 Transports surface residues directly into the JUWEL filter. 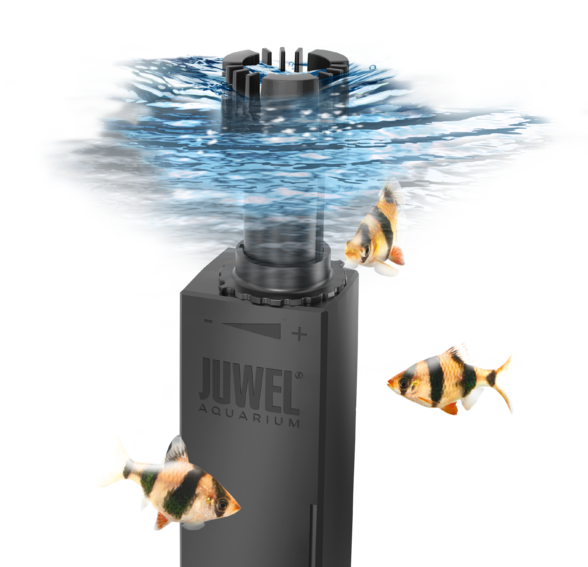 The JUWEL EccoSkim may be used in all JUWEL aquariums. The filter mount allows the EccoSkim to be easily attached directly to the JUWEL inside filter. 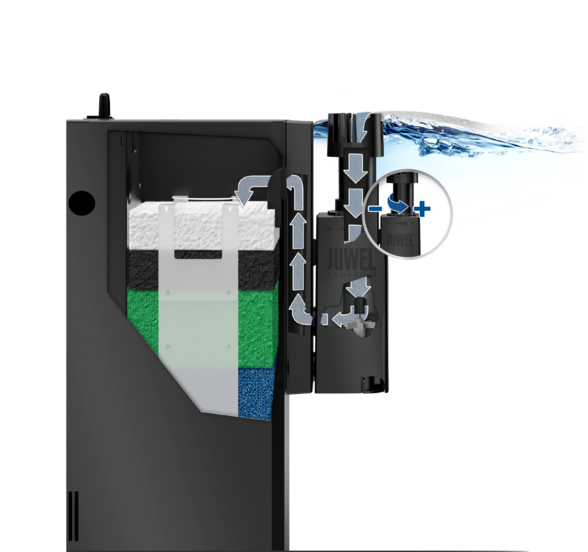 Impurities on the water surface are effectively removed and transported directly into the JUWEL inside filter. 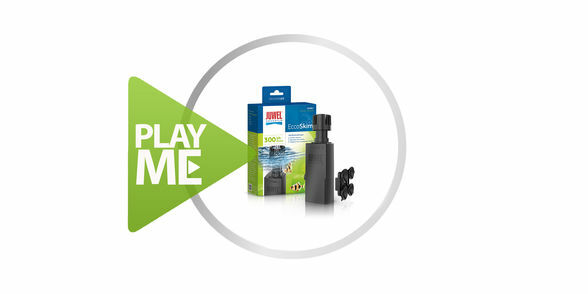 The appropriate suction mount allows the JUWEL EccoSkim to also be used in other widely available glass aquariums. The JUWEL EccoSkim's float adapts to the water level and is therefore always ideally positioned for skimming surfaces effectively. 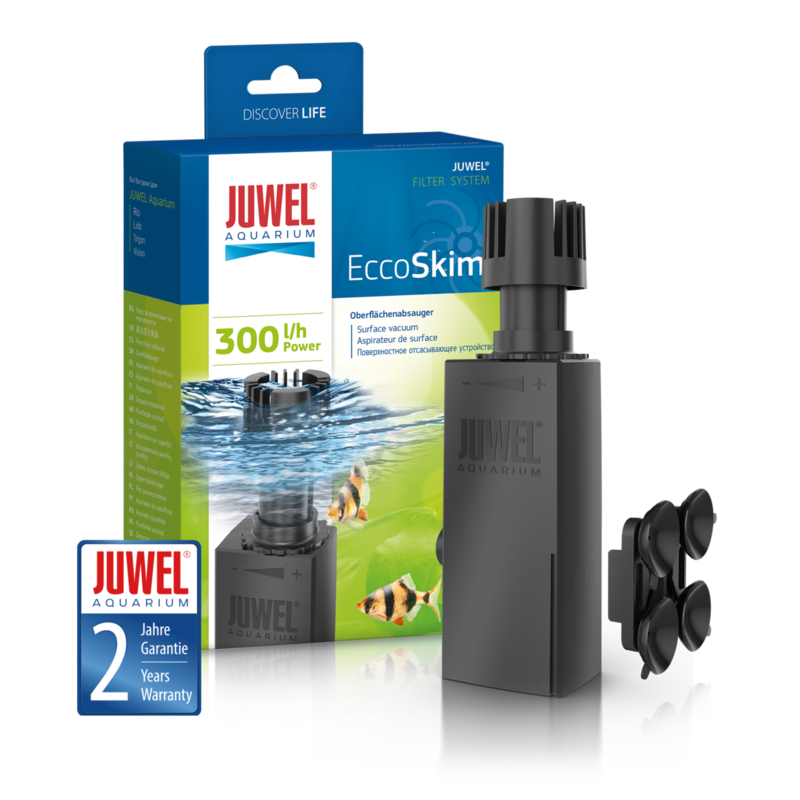 The JUWEL EccoSkim's skimming performance may be individually controlled. The power can be adjusted and therefore adapted to the aquarium's requirements by turning the control tube.